A brand new free club night from The Orielles at Heavenly’s London venue The Social! LAUNCH PARTY FRIDAY 12TH OCT! When The Orielles are not out on the road playing gigs they spend their time listening to hot jams, assembling playlists for each another and spend many a night on the decks at friends’ parties. Recently the band decided to exhibit their disco-groove love in public – for The Pastels at their show in Manchester, Greenman Festival in Wales and a New Years Eve set in Manchester’s Northern Quarter . . and now, we’re very excited to announce, a three date residency at The Social in London! 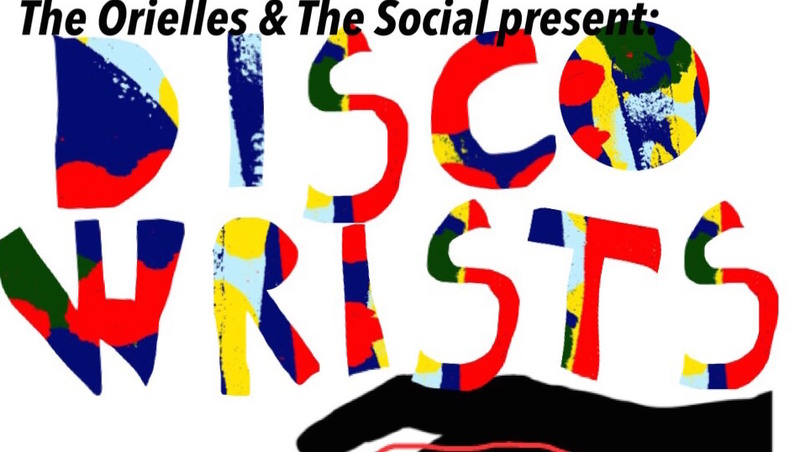 The Orielles and friends will blend 90s dance grooves, 70s disco, world music and more to create a feel-good atmosphere that will have everyone boogying all night long! Launch Party on Friday 12th Oct and then two more parties before the end of the year on 30th Nov and 21st Dec for a special Christmas party.